Getting a late start on this particular trail when you plan on doing it in one day is definitely not ideal. This 14 mile round trip trail with an elevation gain of 3900ft will not only test your physical ability, but your mental strength as well. Starting at the trailhead off the Hamma Hamma Rd (Forest road 25), you start your way through a bunch of switchbacks that warm up your legs for the second part of this trip. At around 3 miles you reach Lower Lena, veering left, starting your next and much steeper decent to Upper Lena. Starting off in lush moss covered tree’s and the sound of Lena Creek by your side you start beginning to think this isn’t going to be that bad… However, once you hit mile 5 the trail goes up at an incline that is sometimes unforgivable. This is where that mental strength comes into play. I can remember the first time I did this trail and almost gave up, 15 minutes from the lake. This time only carrying a day pack the push to the top was a little easier but not by much. After maneuvering UP small but steep switchbacks, climbing up roots and over boulders, the last part of the trail gets even tougher. Although the climbing is rough, the view of the south peak of the Brother’s is mesmerizing. The sight of Mt. Bretherton as it peeks its head out to your left lets you know you must be close. Finally while looking up, which isn’t hard because that’s the direction you going, you can see a break in the forest. After walking around small curve in the trail, you come to Upper Lena. Truly if you are going to expend the energy to get there, at least stay a couple of days to explore all there is to see. 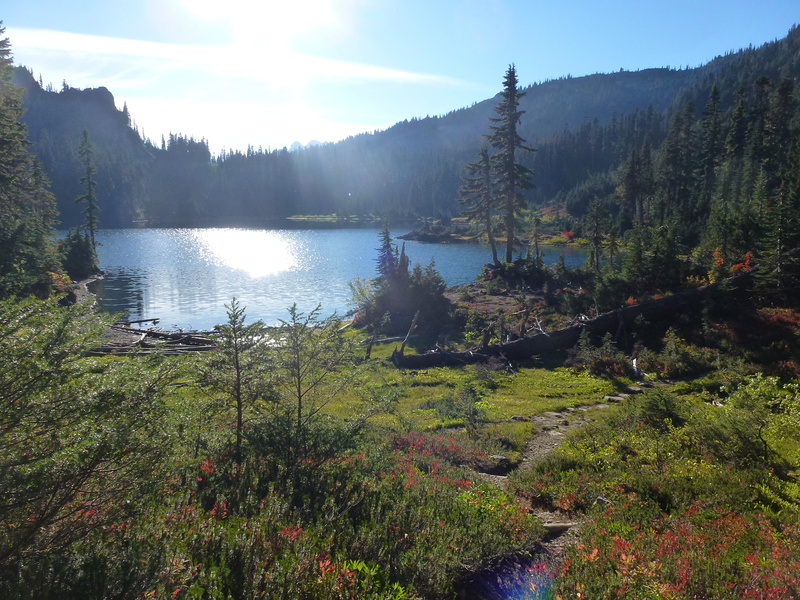 Both Scout Lake and Milk Lake are in short hiking distances and there is also fishing to be done here… After spending a quick 45 minute rest and chowing down on some protein, we gathered our things said hello to the composting toilets and were quickly on our way back down the mountain. As it was now getting dark by 7pm, we had about 2.5 hrs. to reach the bottom before we would have to break out the flashlights and because of how steep this trail was, neither of us wanted to be coming down it in the dark! Just a few minutes past 7pm, we made it to the car. Entire time on the trail was 8hrs and 30 minutes. Enjoy! This entry was tagged Alpine Lake, climbing, Hamma Hamma river, hiking, Lake, Lena Creek, Lower Lena Lake, Milk Lake, Mt. 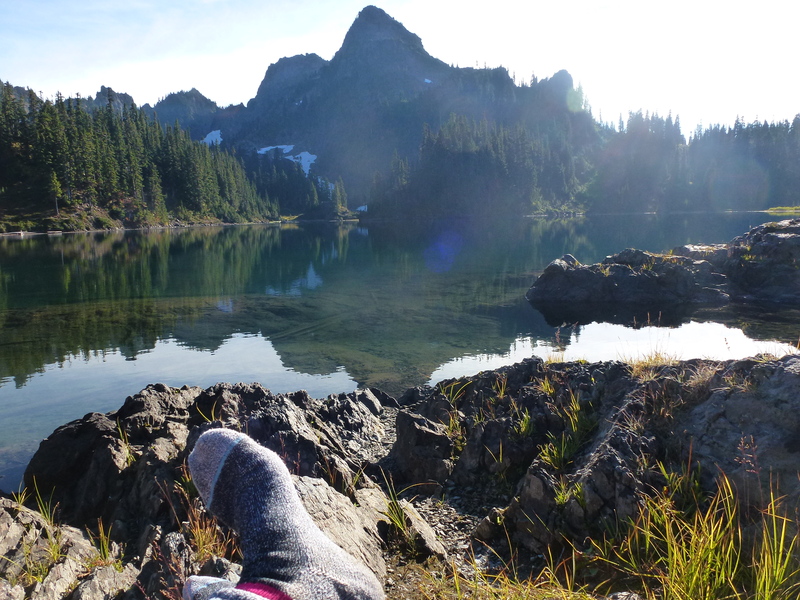 Bretherton, Olympic Mountains, rainforest, Scout Lake, The Brothers, Trails, Upper Lena Lake.